This picture was sent in by KW. He writes: "This is an up-market Chinese restaurant, hyperbolically ornate throughout. 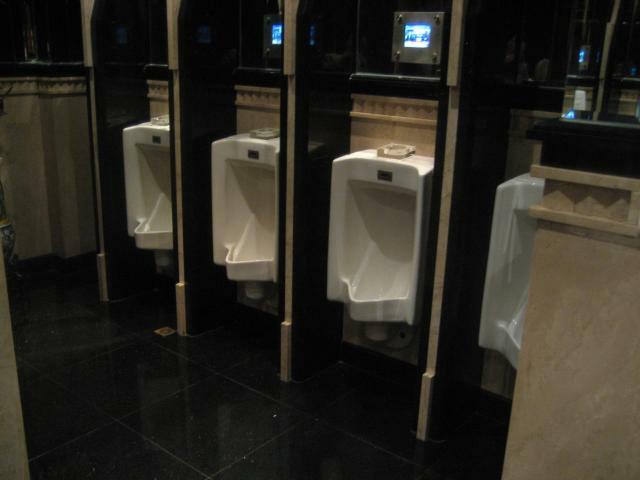 Each urinal has a TV screen and an ashtray."